The reception area is typically located within the waiting area or in the front entrance of the business. A reception area is the first area designated to greet the staff, clients, and guests upon arrival. The reception also directs and guides any visitors to the business. The main purpose of the reception area is a welcoming space to receive visitors and wait for their appointment. In part to the advancing technology communications, many small to medium sized businesses are hiring a live remote receptionist instead of an in-house receptionist. This advancement has led to the elimination of many receptionist jobs. 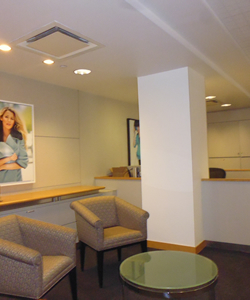 There are typically two types of reception areas found in businesses. 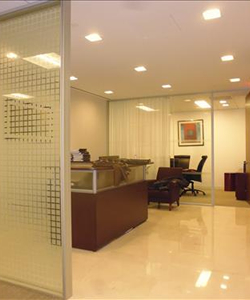 One type of reception area is found in a doctor’s office or outside of CEO’s offices. Visitors arrive to the office individually to wait for their appointment in the waiting area. Seating for visitors is common in most reception and waiting areas to avoid people standing while they wait. They may even offer access to a public restroom. Several waiting areas may contain newspapers, magazines, televisions, or even vending machines. To boost patience including entertainment is important to help pass the time. A reception area should maintain positive atmosphere to create the best first impression. Although many people are avoiding naming their reception area a waiting room, the reception area and waiting area are one on the same. The area is designated for visitors to sit and wait. The main purpose should be to promote inviting and serene environment. However, you choose to name the area, a reception area is vital to your office design. When planning and designing your office layout, our brokers are here to assist you in creating the perfect reception area. Looking for a fantastic reception area for your next office space - give us a call there are options we'd like to show you!